Crustaceans are arthropods. That means their skeletons are on the outside. Their bodies are made of segments or small sections connected end to end. 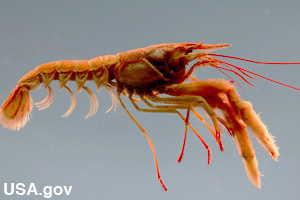 Most crustaceans have gills and two pairs of antennae. Their legs usually have two branches. Six little legs help them eat. Crustaceans have two compound eyes. These are often on the ends of stalks. All of these traits are common, but there are exceptions. Most crustaceans live in water. Lobsters, crayfish, shrimp, barnacles, krill, and crabs are crustaceans. Some of these can swim. Others crawl. Still others attach themselves to something hard and never move at all. 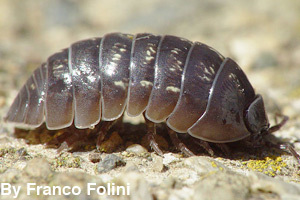 Some crustaceans, like pill bugs, live on land. 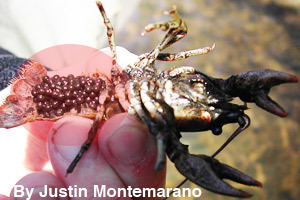 Many crustaceans lay eggs loose in water. But some carry their eggs around. 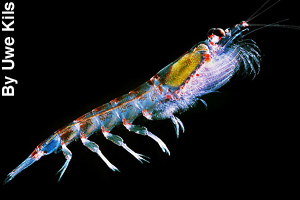 Crustacean young go through larval stages that look very different from the adults. 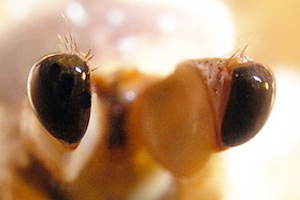 The first stage often has one eye. 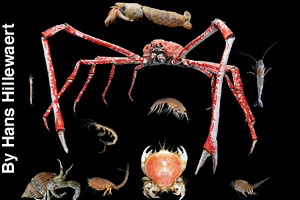 As crustaceans grow, their skeletons get too small. They have to molt, or shed, their small skeletons and grow bigger ones. Crustaceans have been around for over 500 million years. 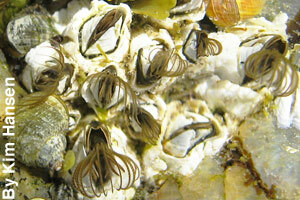 Today, there are more than 45,000 kinds of crustaceans. Water fleas are so small that they are hard to see. The Japanese spider crab can be 12 feet (nearly 7 meters) wide with its legs stretched out. MLA Style: "What is a Crustacean?." Facts4Me. Mar. 2014. http://www.facts4me.com.